A great serger for beginners with useful features for many applications. 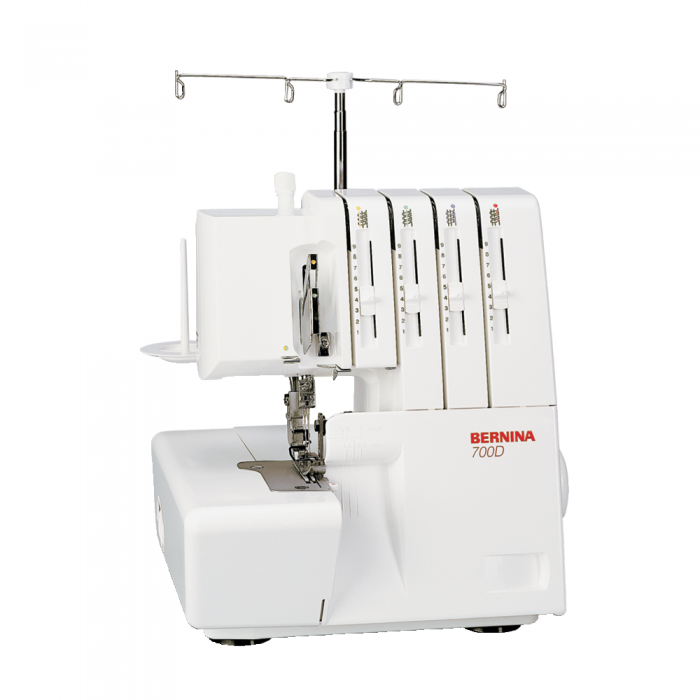 This easy-to-use machine has the ability to sew using a 3-thread or 4-thread stitch. It can handle all types of fabrics – everything from fine silks and satin to denim, fleece and stretchy fabrics – with the greatest of ease. A differential feed keeps seams smooth and flat. The built-in rolled hem feature is yours at the flick of a switch. And using the right or left needle gives narrow and wide options of most of the serger’s many stitch formations. You’ll sew like a pro in no time. Adjustable Thread Tension: The practical slides show you the current thread tension and allows you make stepless adjusments according to your serging needs. Professional Knife Drive from Above: Provides the greatest, most robust cutting force. Even thick fabrics won’t deflect the upper knife – so all fabric edges can be trimmed safely and professionally. Differential Feed: Stepless differential feed ensures wave-free seams in knits, and prevents puckering in fine fabrics – as well as allowing deliberate gathering. Rolled Hem Lever: Simply flick the rolled hem lever to switch effortlessly to a rolled hem stitch and back again, with no need to change the stitch plate or presser foot.